Australia's leading magazine for the education sector, read by more principals and teachers than any other industry publication. 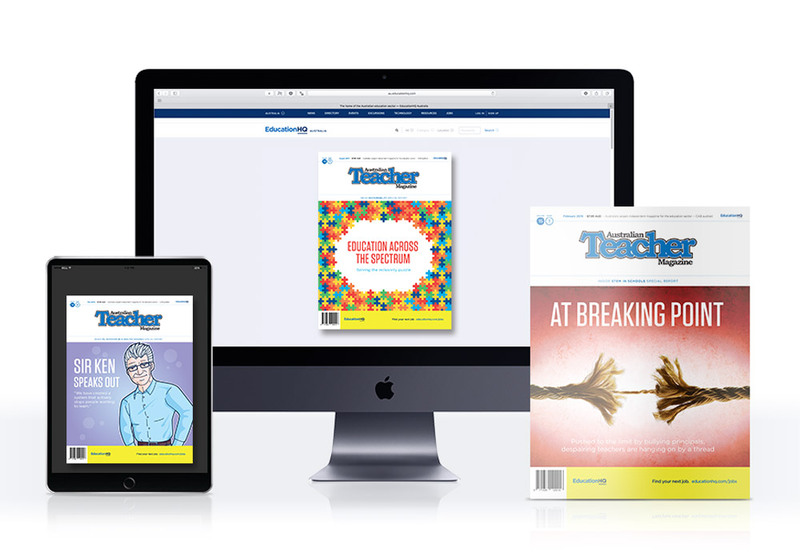 Australian Teacher Magazine is not just number one for circulation, it is also the leader in providing relevant and informative content to educators across the nation. Distributed monthly to government, catholic and independent schools, in print and tablet formats, Australian Teacher Magazine is hugely relevant to all parts of the education sector. With a depth of targeted sections each month, Australian Teacher Magazine provides an unrivalled read for the sector. Regular sections include: News, Opinion, In the Classroom, Technology, Professional development, Careers, Professional Learning, Leadership and more. The inclusion of specific targeted special reports further enhances the relevance of Australian Teacher Magazine to educators with topics including: STEM, The Arts, PE & Outdoor education, Music, Mental Health, Indigenous education, Health and wellbeing and more. Learn about advertising with us.